JoeShade® portable sun shade umbrella was invented out of our passion for youth sports and a necessity to be comfortable on the sidelines. In 2002, while coaching little league baseball, we noticed parents and grandparents swapping turns holding beach umbrellas trying to get some shade from the blistering sun rays. We also noticed parents taking breaks to sit in their air conditioned cars, but were missing their child’s best at-bats or game saving plays. We came up with the perfect solution — JoeShade, the portable, instant shade that keeps you cool and protected on the sidelines. 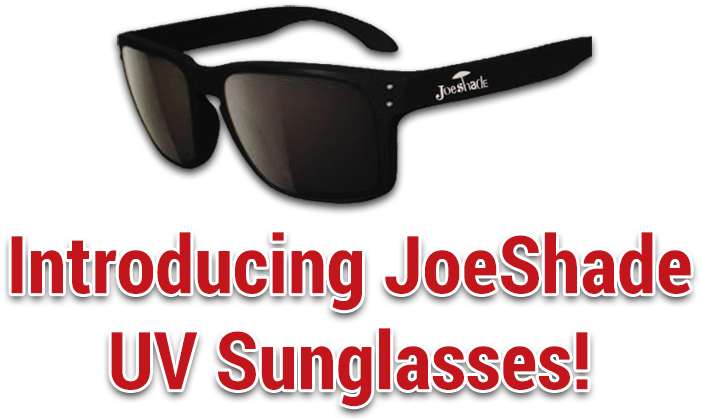 Today, over 100,000 JoeShades can be found at little league baseball games, soccer fields, corporate events and every outdoor venue. Get your JoeShade umbrella today! MITS Partners, Inc. is a premier promotional and specialty products company supporting youth sports, teams, corporate events and promotions. The company was founded in 2002 and is located just outside of Chicago in Palatine, IL. MITS Partners, Inc. invented the popular JoeShade portable sun shade umbrella and continues their innovation with complementary products and services to make your outdoor life more enjoyable. For inquiries, please contact us at info@joeshade.com.